We are a pioneer couple, made by geologist Piracés Raymundo and Maria Luisa economist Duerr, together we create Cavas del Valle in 1996 which incorporated the terroir of Alto Valle de Elqui the map of Chile's wine industry. 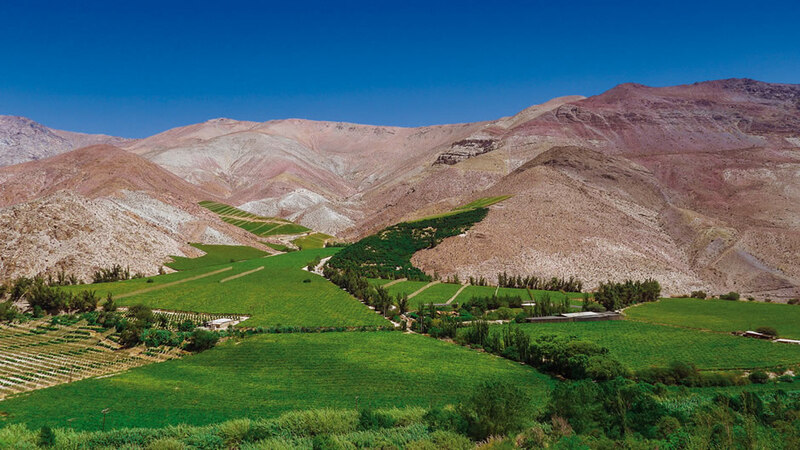 Previously, this area was known only for its pisco production and the export table grapes. By the time the wine is not associated with the IV region or with altitudes over 1,000 meters above sea level. What we did was a real bet. Developed as a family project, we see only the vineyard as a hobby or as a business, rather as a life in which the goal is to produce wines more and better features, as a contribution to tourism in the region and Chile in general. To this end we moved to the Elqui Valley after professionally consolidate in Santiago. The Cavas del Valle vineyard is located in a unique terroir in Chile, with semiarid climate at 1,100 meters high. In this area of ? 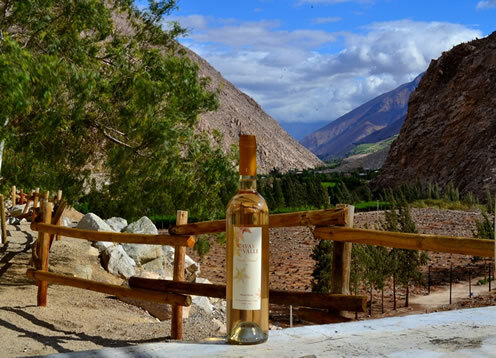 ?Alto Valle del Elqui summer lasts 6 months with thermal oscillation very favorable for growing grapes. Instead, the winter temperature has increased diversity, maximum between 10 and 26 degrees and minimum -2 to 5 degrees. Only it rains two to four times a year, with an average of 60 mm of water and extreme environmental dryness with less than 10% relative humidity in summer. These climatic conditions coupled with the altitude allow Cavas del Valle count with wines from exclusive features. Surely every fruit you harvest in the Elqui Valley, are peaches, apricots, grapes, or any other, is coveted by its intense flavors. The fruits of desert climates better develop its aromas that tropical climates. The same can be seen in the wine, which reaches intense aromas and deep color. The sun also generates a high tannin content or natural antioxidants, equivalent to the "sun protection" grape and are health benefits. Currently, we have 3.5 hectares for grape Syrah (with Cabernet Sauvignon% lower) and 2.5 hectares of Moscatel Rosada and 0.5 of Merlot, with all that we produce about 25,000 bottles a year. The entire annual production fits in a container! The project will continue with these dimensions, as our main emphasis is on quality and not volume. It is the first valley is seen in Chile from north to south. Climatic conditions and shortages in semi desert soil moisture makes its wines have special features. This distinction gives the perfect environment for the production stage as Carmenère and Syrah wines of exceptional quality and uniqueness, to special and novel Sauvignon Blanc and other new strains that have been included in the vineyards for a few years.